Purim, the festival that commemorates the deliverance of the Jewish people in the ancient Persian empire, is characterized by many customs including the wearing of masks and costumes. Unlike Halloween where the costumes are intended to frighten, Purim costumes are to instill happiness and laughter. For this reason many children, and those young at heart, begin wearing Purim garb before the holiday as there is no time limit on having fun. 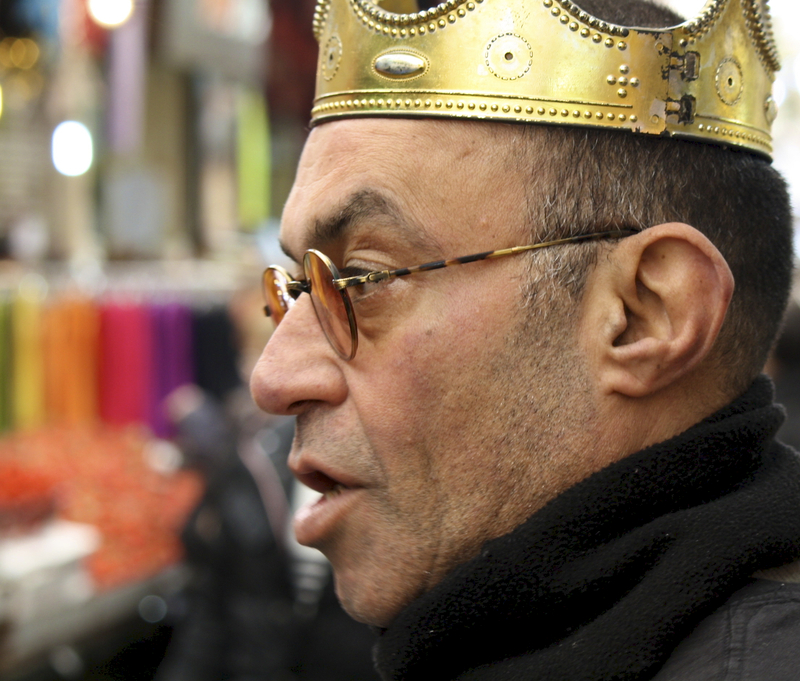 Naw, this guy is always wearing his crown at Machnay Yehudah market selling Halavah…however i think he may have changed his crown to commemorate our upcoming holiday…. great shot. Their Halavah is pretty good too!